Dubbed to be as the largest mall in India as well as in Asia. A city in itself, its makes shopping a memorable experience with an unlimited choice of global plush stores. Magnificently constructed, it houses about 14 screens and 20 eatery joints. Located in Edapally, Kochi it is the one of the largest shopping malls in India. The mall boasts of its beauty as it also has an ice skating rink, along with 9 multiplexes and other entertainment zones. The most remarkable feature if this mall is its creative design which lights up its atrium with sunlight. This mall is no less than an international mega mall! 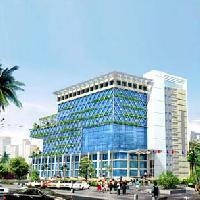 Located in Viman Nagar, the mall is a class apart. Long courtyards, shopping destinations, e-zones make up this mall. Also consisting of plazas and public joints with water bodies, the mall is an ultimate lifestyle paradise. One of the better malls in Mumbai, the High Street is the best place for shoppers. The mall also houses Palladium - an upmarket luxury brand store known for its variety and uber class. The mall placed in Velachery houses 300 stores, 5 levels of shopping, a hotel, an apartment complex, a club. This mall definitely qualifies for a big league. Apart from this, multiplexes and food joints are at large here as well thus making this mall one of the largest in Chennai and India. When this mall opened in the year 2010 in Malleshwaram, it was the biggest mall in South India. Serving both as a public as well as business hub, the mall has the patronage of about 1.4 million shoppers every month and can also be used to organize commercial events. Armed with Inox Cinemas, the mall has thousands of top brands. A top spot in Kanpur, the mall offers everything you can think of. Packed with best of lifestyle products, entertainment zones, f&b joints, the Z Square is really a shopper's delight. Housed in Kalyan, the mall is among the top places to be in Mumbai. The mall is said to have at least 125,000 people during its best days as it showcases top brands. 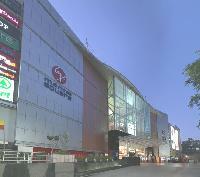 Located in Noida, it is one of the largest operational malls in India. Containing top international plush brands, the mall is divided into specific zones for home, apparel, food and other lifestyle brands. The mall is also equipped with Big Cinema's 6 screens which can contain more than 1000 people at one go. Also known as Entertainment City, the mall has an amusement park adjacent to its Plaza for public events.